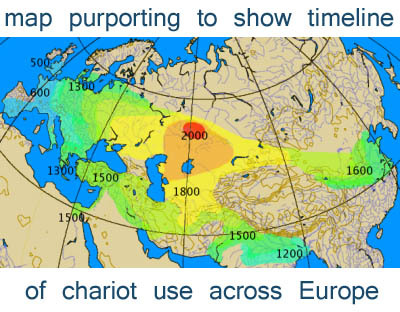 our ancient ancestors used chariots, in warfare and in their burials. This is recorded by Julius Caesar in 50 BC when he first confronts (and fails to rout) the Britons, on home turf. Yes, the Ancient Britons, like the Egyptians and the Hittites and the Assyrians before them used chariots in their wars or territorial skirmishes. 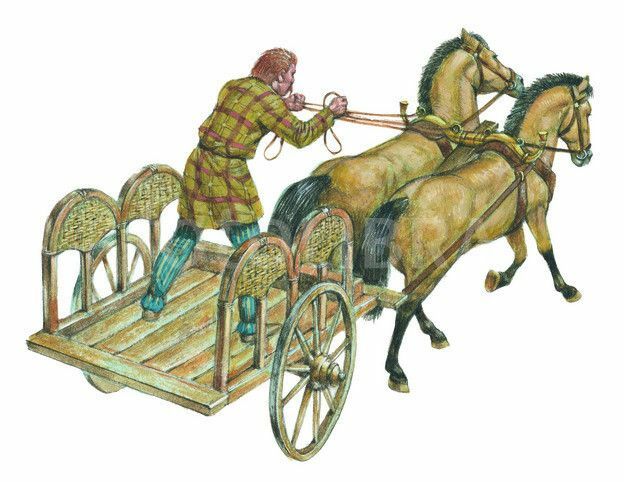 I'm still trying to find out whether the Celtic Chariot was introduced into Ancient Briton by A SPECIFIC SEA-FARING PEOPLE like the Scythians or the Phoenicians or the original Syrians themselves, or whether the chariot found its way into Ancient Briton as some sort of 'global trade or commodity' trophy, with the French or the Belgians of the era. You know, mined or worked assets for battle tech swap, or stolen maybe and back-engineered to fit local requirements or terrain, happens all the time in the Modern World, why not in the Ancient World? PS: I'm not totally convinced by all these Maps or Timelines (for gingerness and DNA and technology and 'religion') spreading out from some 'fertile crescent or middle eastern' centre of Civilisation and ending up in these 'barbarian western lands. I'm sure Ancient Briton had as much of a (cultural, financial or spiritual) CONSULTANCY role then as it does today. We tend to be a Country of Causes and Instigators of Ideology around the globe, here, in our little green isle. You know, I'm dragged back to the practitioners of ancient megolithic magic i.e. the Druids, whether they were the people who built places like Avebury and Brodgar or not. Even if these stone circles were built by an earlier race of Ancient Briton, the Druids' consultancy-reach may have extended back across Europe and into China long before we're supposed to have received the Ceremonial Chariot, so to speak.